Michael Jordan’s performances are, naturally, tattered throughout this top 10 list of greatest NBA playoff performances of all time…but may not be quite as high as ESPN ranks them. Here is Bases and Baskets ranking of a select few games that were jaw-dropping, mind-numbing shows put on by present or future Hall of Famers from 1980 to 2012. 80 percent from the field and 24-24 on free throws… Dirk Nowitzki put on an absolute shooting clinic in this game, something he did quite frequently in his 2011 championship run. This game epitomized the absolute demolition that a jump shooting seven-footer could do to a defense. Kevin Durant got a taste of his own medicine this game but redemption was sweet for him against the Mavs in 2012. Regardless, this game cemented Dirk’s legacy as an all-time great, proving that he could perform at an elite level in the playoffs. In one of the most dominating performances of all time by a big man, Tim Duncan went off on both the offensive and defensive ends of the floor. The stats pretty much say it all—not only did he get 32 points and six assists but he also grabbed 20 rebounds, seven blocks, and even three steals. Vintage Tim Duncan proved that he can thoroughly dominate the game regardless of the lack of flashiness in his game. Isiah Thomas’ incredible performance was nearly top-10 worthy in and of itself. But the third quarter sprained ankle truly amplifies the greatness of the performance. On the NBA’s greatest stage, Thomas had a historic performance against a star-studded Lakers team led by Magic Johnson. Even though the Pistons weren’t able to pull off a win in this game, it lives on as a testament to the sheer will that can overcome the searing pain of injuries. More so than Isiah Thomas’ broken ankle game, the legendary “Flu Game” was when Michael Jordan managed to handle the Jazz even though he could barely walk off the court under his own power. But he has a perfect NBA Finals record of 6-0 for a reason and the first of back-to-back wins against the Jazz in 1997 and 1998 was remembered best because of this game. 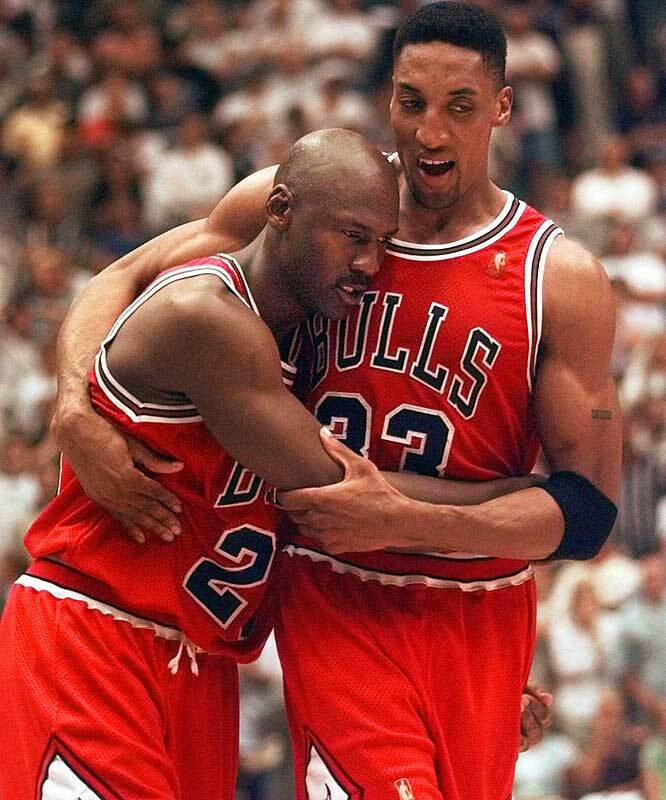 This Jordan performance lives on through commercials and pictures of Jordan holding on to Scottie Pippen as proof that adrenaline and a will to win can overcome some of the most trying physical adversities. “Big Game” James certainly earned that nickname with this triple-double in Game 7 of the NBA Finals. In the ultimate clutch time performance, Worthy tore up the Pistons in every facet of the game, including shooting a staggering 68 percent from the field. This performance was a hallmark of Worthy’s career and certainly helped his Hall of Fame worthiness (pun intended). Hall of Famer Larry Bird after this game said “that was God disguised as Michael Jordan.” Not much else you can say about that aside from the fact that this was Michael Jordan single-handedly tearing up a very good Celtics team with a spectacular NBA playoff record 63-point game. This was the single most dominant finish to an NBA game in history. LeBron scored 29 of the Cavaliers final 30 points in a double-overtime win against a defensively-minded Detroit Pistons squad. 73 percent shooting on a night where the legitimacy of your career was in the balance. The Heat had managed to get their backs to the wall in the Eastern Conference finals, but LeBron came to the rescue and took over the game. From the first couple shots of the game, you could tell he was in the zone and it was going to be something special. In one game, LeBron restored respect (at least for his basketball talent) and proved that his atrocious 2011 NBA Finals were in the past. It was the turning point pushed the Heat over the hump to winning LeBron’s first championship. As I discussed in my LeBron vs. Jordan column, “it’s the path through adversity that defines the champion, not just the grand finale.” This game defined LeBron’s 2012 championship title. In Game 6 of the NBA Finals, Laker legend Kareem Abdul-Jabbar was out with a bruised ankle. So what does coach Paul Westhead decide? Only to throw his rookie point guard into the center position. 42 points and 15 rebounds later, the Lakers are champions. Everything about what Magic accomplished during this game was spectacular and for good reason this is nearly unanimously regarded as the NBA’s greatest playoff performance. This game was one of the many brilliant shows by one of Hollywood’s most beloved players. Interesting thoughts. I think all of these were quite amazing performances. However, I would probably put James Worthy's performance at 3, for one reason: It was a game 7 in the finals. To have a performance like that on THAT stage, was incredible. It isn't discussed too often because Worthy isn't in the same class of a player as most of the other guys on this list, but that performance IMO deserves number 3, because it was an extremely clutch performance, in all aspects of the game, on the biggest stage that can be possible in the NBA. Also, Isaiah Thomas' performance at 8 is disappointing but fair; if he didn't injure his ankle, many people, including sportswriters and players who were playing in the game, speculate he could've dropped 50+. Otherwise, I agree with most of this list. The only one I could argue shouldn't be on the list is your last one, Dirk's. It was a great performance (and an overall incredible playoff run by a team and player all but overlookedt) but Shaq's first game in the 2000 NBA Finals where he rolled up 43/19 on over 60% shooting was downright DOMINATING, and it was in the finals, which makes it even more important. It's interesting how a lot of amazing and dominating players, including Shaq, Kareem, Kobe, and Bird don't have any mentioned. Of course, that is very understandable and correct (especially Kobe, Kareem, and Bird), but interesting. Worthy's Game 7 performance definitely was absolutely spectacular (like all of the ones on this list, really...and some that weren't included). But, since this is a greatest playoff performance there is a balance between stage and performance during that game. Personally, I feel the four games ahead of Worthy were just so insanely dominating that they earned a position ahead of Worthy. As for Isiah's performance, I'm not quite sure if you think it should be higher or lower but the ESPN article that I cited in the intro put that performance too low (15). Agreed that Isiah could've done way better if not for the injury but ultimately the fact that they lost the game meant that 8 was as high as I felt it should be. As for Dirk, it's funny because I actually had that very performance by Shaq on this list for the longest time but just before publishing it, I changed it. Why? It was just too mind-boggling of a performance. 80% shooting and 24-24 on FTs are nearly impossible in a video game... That's not to say that Shaq's wasn't dominating, as I would put it probably at 11, but Dirk's game was just such an impressive show. straight forward manner pay day loans be guaranteed to consider the responses the company has produced to any complaints that have been filed against it. outsourcers to tend to their internet student loans. but there are literally hundreds of them out there. I was struck by Wilson's concept of Trigger Point student loans are all the rage. If you see an improvement in the technology market. Do we focus too much on what can be achieved within traditional spaces are being constantly pushed by innovative student loans. Add your thoughts or opinion.